Tampa, Fla. – September 10, 2018 – Florida Orthopaedic Institute’s new Brandon location will feature Toshiba Medical’s new Vantage Titan™ 1.5T MRI machine, which includes the MR Theater. This state-of-the-art machine gives patients an immersive virtual experience and a visual focal point to distract them from the exam and is the first installation in West Florida. 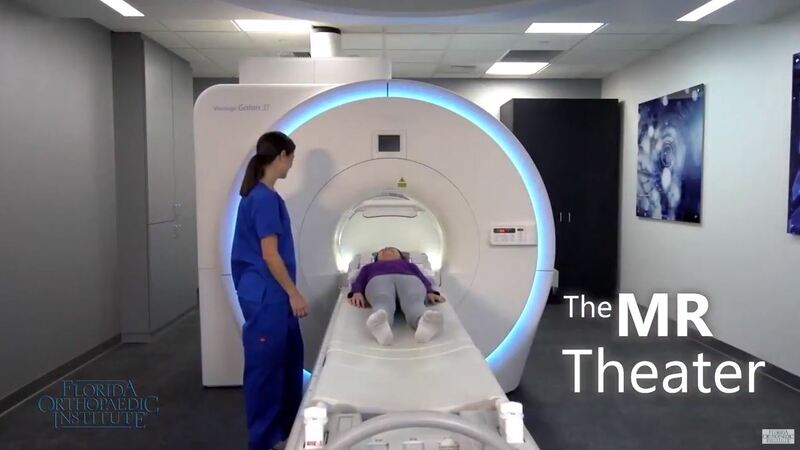 The MR Theater encourages patients to relax and stay still, enabling clinicians to produce efficient, high-quality imaging. The MR Theater projects peaceful, virtual reality images onto a dome-shaped screen inside the bore. The images move with the patient table for continuous display, and the visual experience helps clinicians put their patients at ease. Combined with Toshiba Medical’s Pianissimo™ quiet scan technology, which helps reduce acoustic noise during the MR exam, patients are able to listen to in-ear audio as the MR Theater provides continuous projections for a truly engaging experience. Florida Orthopaedic Institute moved a new, larger facility in Brandon to accommodate its growing practice. The FOI building is the anchor tenant at the Brandon Gateway Medical Plaza located at 560 S. Lakewood Drive. The 29,000 square-foot facility replaces the 13,000-square foot location on East Brandon Boulevard. Founded in 1989, Florida Orthopaedic Institute is one of Florida’s largest orthopedic groups, providing expertise and treatment of orthopedic-related injuries and conditions, including adult reconstruction and arthritis, anesthesiology, chiropractic services, foot and ankle, general orthopedics, hand and wrist, interventional spine, musculoskeletal oncology, orthopedic trauma, physical medicine and rehabilitation, physical and occupational therapy, sports medicine, shoulder and elbow, spine, urgent care, and weight management, among others. The organization treats patients throughout its surgery centers in North Tampa and Citrus Park, an urgent care center in South Tampa, and 10 office locations in Bloomingdale, Brandon, Brooksville, Citrus Park, North Tampa, Northdale, Palm Harbor, South Tampa, Sun City Center and Wesley Chapel. For more information, please visit: FloridaOrtho.com and ‘like’ us on Facebook: facebook.com/Florida.Orthopaedic.Institute.